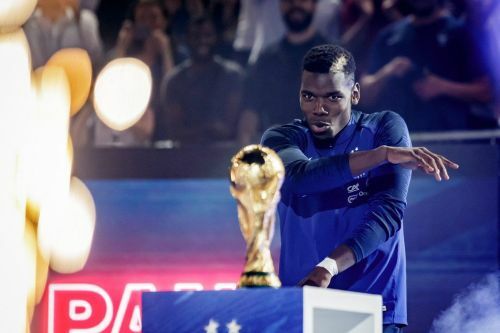 Paul Pogba has been a big topic of late. There has been talking of a major rift between him and Manchester United manager, Jose Mourinho. Moreover, his persona and off the field behaviour have been critiqued in some quarters. Whilst he has done nothing illegal, nor otherwise objectionable from a moral and/or legal standpoint, his effervescent personality, wild (by some's standards) haircuts, and dabbing have caught some ire. And whilst being at United, which he joined for a then world record fee, he has not shone to the level that many demand. He has been inconsistent at best, and his form for France has been better - leading to being a World Cup win a couple of months ago. But if the relationship between him and Mourinho becomes irreparable, then where does or should he move to? What other teams would best utilise his skill set? Which other managers could best develop him? Does he even need to move? And could a return to Juve be in order? United at this moment are in a weak situation, and there are various factors affecting this, including the supposed "third season" Mourinho effect, and the overall lack of direction from the Glazers/Woodward. So will Pogba leave or not? It's unknown at this point, of course. But I'm going to put some clubs out there, for now, to see which could best meld with his traits and potential. He recently made the shortlist for FIFPro World XI, and would be a prime asset for any club willing to get his services. So let's see where he could potentially go if he opted to leave Old Trafford. A club of equal standing to Man United, in terms of trophies, revenues, global scope, and tradition. A player of his talents and achievements needs to play at the very highest level, and there are very few clubs bigger than Barca. Messi. Enough said. But really, who wouldn't want to play alongside Leo? Barca may not play to the exact template of the classic 2011 Pep team. But the DNA of that team is still present. And this could suit Pogba, as he can excel in a quick pass and move style. Iniesta has left, and Busquets is 30. Whilst Pogba is a different kind of player to them, he is certainly a high-profile figure who could fit into their midfield. 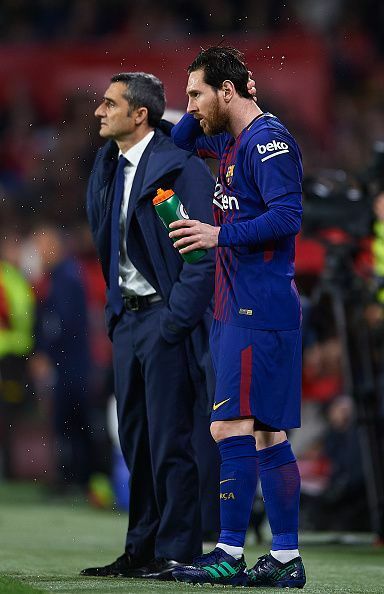 Messi himself is over 30, and the entire team may need revamping soon. Pogba could be key in rebuilding the team, considering many of the best and brightest under Pep and Luis Enrique have either moved or are ageing. United are said to have rejected a bid from Barca, though this is understandable considering Pogba is a prime asset. If he really opting to join there, he can always talk with Alexis to see what it's like - he was at Barca before he joined Arsenal.